Serra Activ is a powerful systemic enzyme supplement with high-activity, enteric-coated serrapeptase and other potent proteolytic enzymes designed to promote sinus, respiratory and joint health. 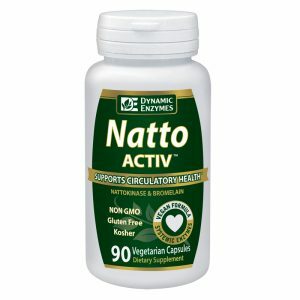 It also supports the body’s natural response to inflammation. Serra Activ has the unique ability to dissolve unnecessary protein and non-living tissue that is a by-product of the body’s natural healing process. Serra Activ is free of pesticides, chemicals, preservatives, animal derivatives, yeast, fish or shellfish, peanuts, and tree nuts. All individual enzymes are kosher-certified ingredients, and suitable for vegetarians and vegans. 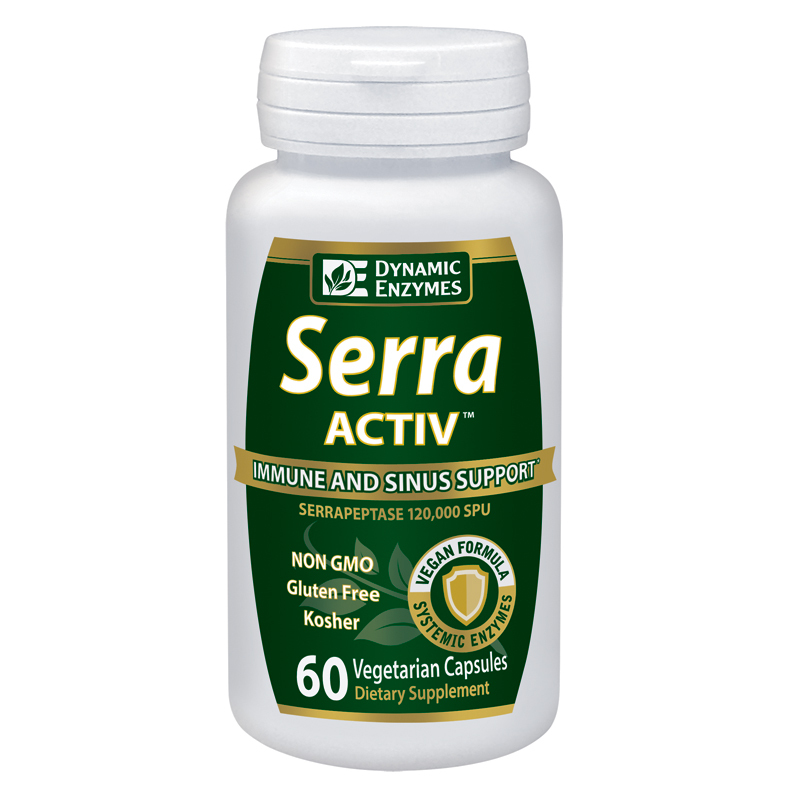 Serra Activ is a powerful blend of proteolytic enzymes designed to support body’s natural inflammatory response, and promote respiratory health. Inflammation is our body’s natural response to injury and infection. It is a complex biological process to ward off invading pathogens and initiate the healing process. Acute inflammation is characterized by swelling, redness, heat, pain, and loss of function, signs which typically subside when the underlying problem goes away. Chronic inflammation, on the other hand, may be the continuation of acute inflammation or a prolonged low-grade form of inflammation, and it often goes unnoticed until manifesting in symptoms of a disease. As we age, we often lose the ability to recover from injury as quickly as we did at an earlier age. The minor injuries our body encounters can lead to more serious issues if inflammation is not effectively managed. Unregulated inflammatory responses cause havoc on our bodies resulting in pain and discomfort. Chronic inflammation can lead to everything from diabetes to arthritis to cardiovascular and respiratory conditions. Fibrin is an insoluble protein our body produces in response to bleeding or inflammation. Under normal circumstances, excess fibrin in connective tissue is broken down by proteolytic enzymes and removed. When this process is compromised, excess fibrous material accumulates in the tissue and leads to fibrotic conditions such as arthritis and cardiovascular issues. Serra Activ contains proteolytic enzymes, rich with its namesake serrapeptase, which support the body’s natural response to inflammation. Its proposed mode of action supports the body’s natural mechanism for dissolving fibrin. Serra Activ is an efficacious systemic enzyme formula, and one of the most potent on the market. It is manufactured in a ISO 9001:2000 and GMP certified facilities, and undergoes rigorous quality testing. 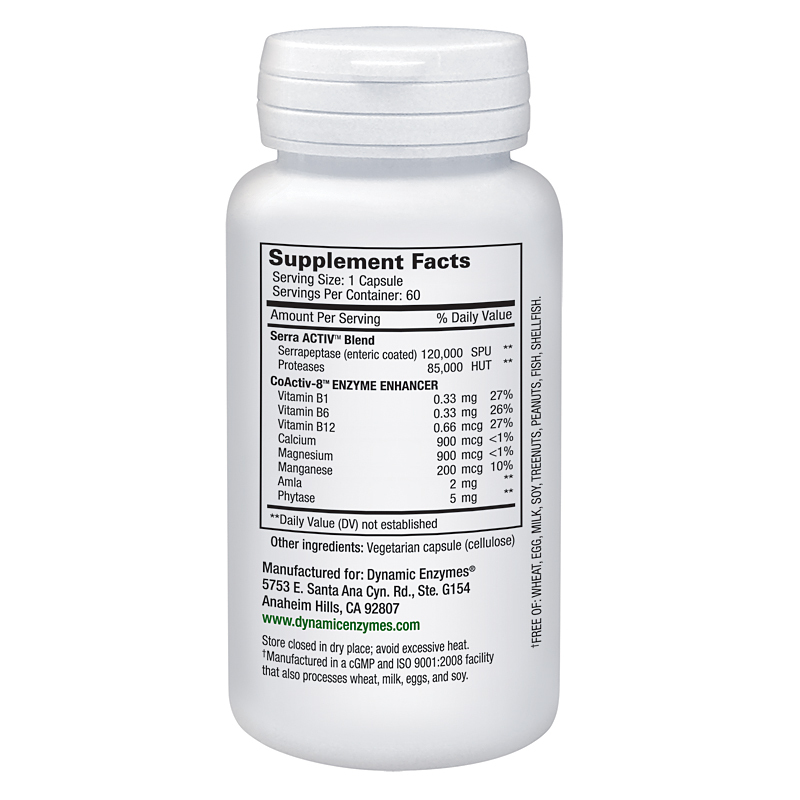 In addition, Dynamic Enzymes’ signature CoActiv8 enzyme enhancer ensures all of our enzymes and probiotics work to their fullest potential. 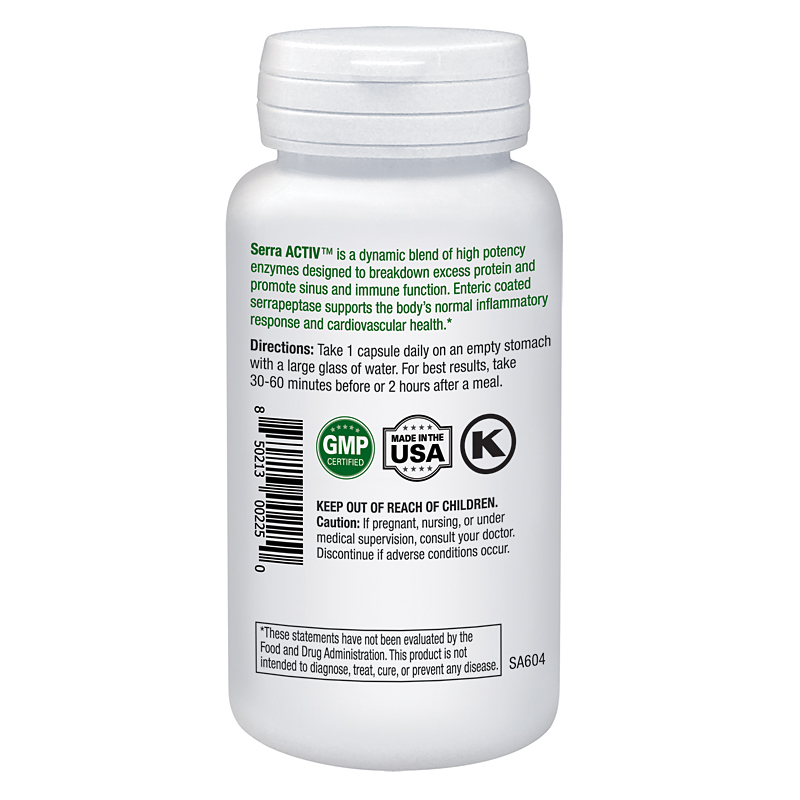 In addition, the enteric-coating we use on our serrapeptase ensures the enzyme reaches the small intestine to be absorbed into the bloodstream, and work systemically. Unlike other enteric coatings, our unique Methacrylic Acid Copolymer (MAAC) enteric coating is safe and has been listed as Generally Recognized As Safe (GRAS) by the Food and Drug Administration (FDA). Our food-grade enteric coated enzymes are designed to withstand the different pH levels of the human digestive tract, ensuring proper delivery of the enzymes into the bloodstream. Take 1-2 capsules on an empty stomach with a large glass of water. It can be taken 1-3 times a day. Where can I get Serra Activ? Serra Activ can be found nationwide. Please take a look at our store locator to find a store near you, or order online directly from us.